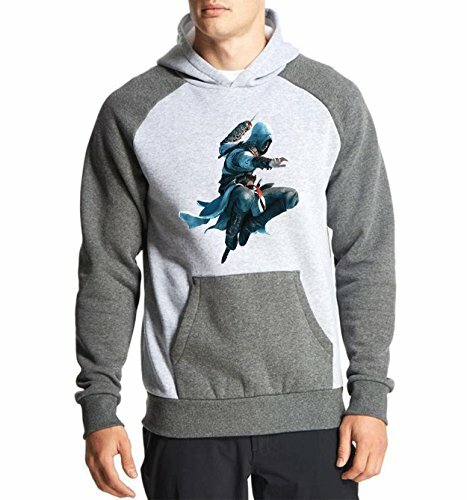 Attain ultimate comfort and royal status by wearing this ultra-comfortable graphic Printed Raglan Sweatshirt featuring a unique Assassin's Creed Jump Kill design from the best selling online brand FanIdeaz. Crafted out of smooth cotton fabric, this Hoodie is highly durable, comfort wear. Team up these fashionable Raglan sweatshirt with blue denims and sneakers. Known for chic appeal and premium craft, If you want export quality Raglan hoodies, you are at the correct page. It's one of the Top Selling sweatshirt and Most liked Printed Raglan Sweatshirt available in India.Freshen up your winter wardrobe with this hooded sweatshirt for men from Fanideaz. This Hoody is made of 100% Cotton, the cotton fabric of hoodie spells pure comfort and warmth. Attain ultimate comfort and royal status by wearing this ultra-comfortable graphic Printed Raglan Sweatshirt featuring a unique Tougue Out Smiley design from the best selling online brand FanIdeaz. Crafted out of smooth cotton fabric, this Hoodie is highly durable, comfort wear. Team up these fashionable Raglan sweatshirt with blue denims and sneakers. Known for chic appeal and premium craft, If you want export quality Raglan hoodies, you are at the correct page. It's one of the Top Selling sweatshirt and Most liked Printed Raglan Sweatshirt available in India.Freshen up your winter wardrobe with this hooded sweatshirt for men from Fanideaz. This Hoody is made of 100% Cotton, the cotton fabric of hoodie spells pure comfort and warmth. Attain ultimate comfort and royal status by wearing this ultra-comfortable graphic Printed Raglan Sweatshirt featuring a unique Giant Hulk design from the best selling online brand FanIdeaz. Crafted out of smooth cotton fabric, this Hoodie is highly durable, comfort wear. Team up these fashionable Raglan sweatshirt with blue denims and sneakers. Known for chic appeal and premium craft, If you want export quality Raglan hoodies, you are at the correct page. It's one of the Top Selling sweatshirt and Most liked Printed Raglan Sweatshirt available in India.Freshen up your winter wardrobe with this hooded sweatshirt for men from Fanideaz. This Hoody is made of 100% Cotton, the cotton fabric of hoodie spells pure comfort and warmth. Attain ultimate comfort and royal status by wearing this ultra-comfortable graphic Printed Raglan Sweatshirt featuring a unique Fire and Blood Handrawn Targaryan design from the best selling online brand FanIdeaz. Crafted out of smooth cotton fabric, this Hoodie is highly durable, comfort wear. Team up these fashionable Raglan sweatshirt with blue denims and sneakers. Known for chic appeal and premium craft, If you want export quality Raglan hoodies, you are at the correct page. It's one of the Top Selling sweatshirt and Most liked Printed Raglan Sweatshirt available in India.Freshen up your winter wardrobe with this hooded sweatshirt for men from Fanideaz. This Hoody is made of 100% Cotton, the cotton fabric of hoodie spells pure comfort and warmth. Attain ultimate comfort and royal status by wearing this ultra-comfortable graphic Printed Raglan Sweatshirt featuring a unique Sherlock Favourite Violin design from the best selling online brand FanIdeaz. Crafted out of smooth cotton fabric, this Hoodie is highly durable, comfort wear. Team up these fashionable Raglan sweatshirt with blue denims and sneakers. Known for chic appeal and premium craft, If you want export quality Raglan hoodies, you are at the correct page. It's one of the Top Selling sweatshirt and Most liked Printed Raglan Sweatshirt available in India.Freshen up your winter wardrobe with this hooded sweatshirt for men from Fanideaz. This Hoody is made of 100% Cotton, the cotton fabric of hoodie spells pure comfort and warmth. Attain ultimate comfort and royal status by wearing this ultra-comfortable graphic Printed Raglan Sweatshirt featuring a unique Eminem Rapper Music design from the best selling online brand FanIdeaz. Crafted out of smooth cotton fabric, this Hoodie is highly durable, comfort wear. Team up these fashionable Raglan sweatshirt with blue denims and sneakers. Known for chic appeal and premium craft, If you want export quality Raglan hoodies, you are at the correct page. It's one of the Top Selling sweatshirt and Most liked Printed Raglan Sweatshirt available in India.Freshen up your winter wardrobe with this hooded sweatshirt for men from Fanideaz. This Hoody is made of 100% Cotton, the cotton fabric of hoodie spells pure comfort and warmth. Attain ultimate comfort and royal status by wearing this ultra-comfortable graphic Printed Raglan Sweatshirt featuring a unique Crows Before Hoes Game Of Thrones design from the best selling online brand FanIdeaz. Crafted out of smooth cotton fabric, this Hoodie is highly durable, comfort wear. Team up these fashionable Raglan sweatshirt with blue denims and sneakers. Known for chic appeal and premium craft, If you want export quality Raglan hoodies, you are at the correct page. It's one of the Top Selling sweatshirt and Most liked Printed Raglan Sweatshirt available in India.Freshen up your winter wardrobe with this hooded sweatshirt for men from Fanideaz. This Hoody is made of 100% Cotton, the cotton fabric of hoodie spells pure comfort and warmth. Attain ultimate comfort and royal status by wearing this ultra-comfortable graphic Printed Raglan Sweatshirt featuring a unique Sasuke Uchiha Naruto design from the best selling online brand FanIdeaz. Crafted out of smooth cotton fabric, this Hoodie is highly durable, comfort wear. Team up these fashionable Raglan sweatshirt with blue denims and sneakers. Known for chic appeal and premium craft, If you want export quality Raglan hoodies, you are at the correct page. It's one of the Top Selling sweatshirt and Most liked Printed Raglan Sweatshirt available in India.Freshen up your winter wardrobe with this hooded sweatshirt for men from Fanideaz. This Hoody is made of 100% Cotton, the cotton fabric of hoodie spells pure comfort and warmth. 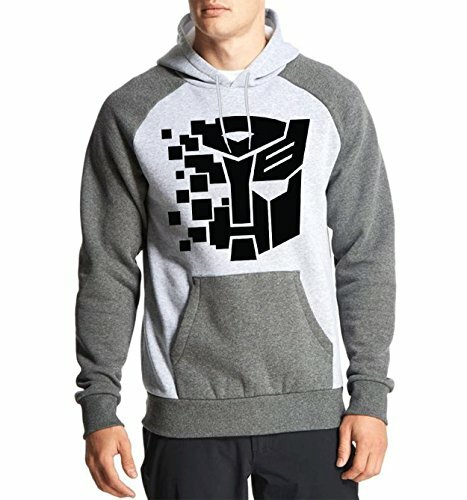 Attain ultimate comfort and royal status by wearing this ultra-comfortable graphic Printed Raglan Sweatshirt featuring a unique Shatter Transformer design from the best selling online brand FanIdeaz. Crafted out of smooth cotton fabric, this Hoodie is highly durable, comfort wear. Team up these fashionable Raglan sweatshirt with blue denims and sneakers. Known for chic appeal and premium craft, If you want export quality Raglan hoodies, you are at the correct page. It's one of the Top Selling sweatshirt and Most liked Printed Raglan Sweatshirt available in India.Freshen up your winter wardrobe with this hooded sweatshirt for men from Fanideaz. This Hoody is made of 100% Cotton, the cotton fabric of hoodie spells pure comfort and warmth.